One of the most popular and sought after Cannabis strains currently available, Blue Dream seeds are considered the tastiest strain of Cannabis currently available. Combining the best Blueberry genes, together with a superior quality Super Silver Haze, produced a strain that’s 80% Sativa, 20% Indica with the deepest fruity taste and aroma. Perfect for growing indoors, these feminized Blue Dream seeds are stable and easy to grow, regardless of your level of growing expertize Whether you prefer natural soil, inert mediums or hydroponic systems Blue Dream Cannabis seeds are able to adapt and flourish. Medical users often use Blue Dream as an all-round, or daytime smoke as it isn’t too overpowering, while still combating a wide number of conditions and ailments, including; migraines, anxiety, stress and depression. 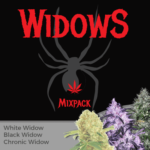 Feminized seeds guarantee female plants, but these Blue Dream seeds go one better, as with all the Cannabis seeds supplied by I Love Growing Marijuana they are covered by the 100% germination guarantee. 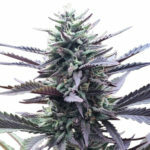 No male plants, no dud seeds that’s the guarantee you get with these very special Cannabis seeds. Many indoor Cannabis growers employ super-cropping techniques to control any height issues, as well as maximizing the overall yield. Blue Dream seeds respond well to a variety of growing methods including screen of green growing, bending, topping and staking. Left to grow and stretch, Blue Dream seeds produce plants with a height range of between 120 cm – 170 cm tall, depending on environmental conditions. With it’s Sativa dominant genetics, Blue Dream seeds require a full ten weeks of flowering to reach peak maturity. The plants grow strong and stable, producing large swollen buds that display a purple/blue coloring. Yields are above average with returns of approximately 600 grams per square meter, grown indoors under good environmental conditions. Blue Dream Cannabis has an average THC content of 21% and is considered a strong form of hybrid Cannabis. It’s medium CBD levels please many medical users, and it has proved effective against stress and anxiety. Recreational users enjoy the mild Indica body-buzz, coupled with a happy, euphoric feeling, courtesy of it’s deep, Sativa heritage. 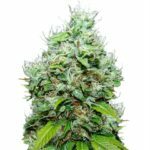 Blue Dream seeds are easy to grow, making them a great choice for beginners and provide a long, euphoric high, with the Cannabis buds stocked in almost all the Medical Marijuana dispensaries. With an intense aroma and taste of strong, ripe berries, Blue Dream is considered by many smokers to be the best tasting Cannabis available. The combination of Blueberry and Super Silver Haze make Blue Dream seeds an outstanding Cannabis strain. Great to grow, even better to smoke, a match made in heaven. 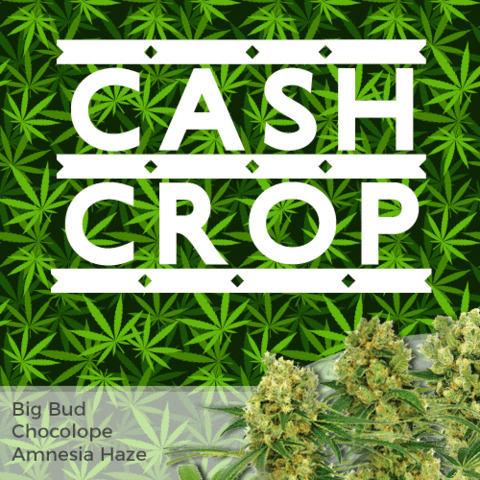 These feminized Blue Dream seeds are offered for sale in feminized packs of 5, 10 and 20 seeds. Every order is guaranteed to be delivered, and every seed guaranteed to germinate into a top quality Blue Dream Cannabis plant. 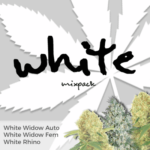 Stealth packaging and postage are included in the price and all guarantees are backed up by the I Love Growing Marijuana customer support service. 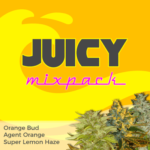 We offer the best tasting, highest quality Blue Dream seeds for sale online.